Halsey Shares Her Battle with Endometriosis. Here is What You Need to Know. Pop star Halsey recently shared with the public her decision to freeze her eggs at the young age of 23. Why would she do this?...Endometriosis. Endometriosis is a disease in which tissue that normally grows inside the uterus grows outside the uterus. With this condition, tissue can grow on the ovaries, fallopian tubes or bladder. Endometriosis can cause a lot of inflammation and scar tissue. It may even cause adhesions (type of tissue that can bind your organs together). Women with endometriosis may develop scar tissue that can block the fallopian tubes. Blood can also get trapped in the ovaries which may lead to ovarian cysts. This is why this disease may make it difficult for a woman to get pregnant or increase her chance of miscarriage if she becomes pregnant. “About 25 to 50% of infertile women have endometriosis, and 30 to 50% of women with endometriosis are infertile,” reports the National Institutes of Health (NIH). More research is needed but the NIH also reports that in spontaneous pregnancies, endometriosis appears to be a risk factor for miscarriages (almost 80% increased risk). In 2016, Halsey bravely shared that she suffered a miscarriage hours before going on stage for a concert. We cannot say for sure that endometriosis caused her miscarriage. At the time, Halsey said she was overworked, dehydrated, anemic and even had to have IVs brought to her green room. But prior to discussing her miscarriage, Halsey had already shared with the world that she suffered from endometriosis. Probably one of the biggest challenges of this disease is that it is difficult to diagnose. The only way to definitively diagnose endometriosis is through surgery. “Surgery, usually a laparoscopy, is currently the only way to be sure that you have endometriosis. Your health care provider will first take your medical history, do a pelvic exam, and maybe do imaging tests,” according to the National Institutes of Health (NIH). Some women who have endometriosis may not experience any symptoms. It is possible for a woman to not discover she has endometriosis until she struggles with infertility and then gets this checked out. 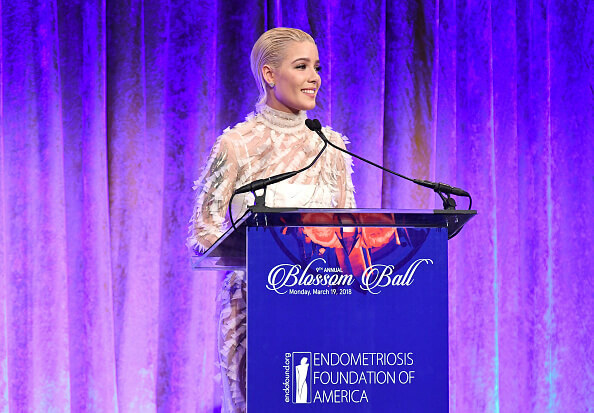 “A lot of people are taught to believe the pain is normal," Halsey said at an endometriosis foundation event. “If you think something is wrong, it probably is. You need to go and demand that someone takes you seriously. Your health is all you have, and especially as a young woman who has reproductive pain, you need to take care of yourself." “One woman in 10 of reproductive age has endometriosis, it is estimated, and yet often their primary care doctors do not know what it is and the specialists to whom they are sent are ill-informed,” according to one report. In another article, a 33-year-old woman said she had been suffering from endometriosis since the age of 11. Of course, not all doctors are this insensitive and ill equipped to help women with endometriosis. But it just goes to show you, you have to be an advocate for your own health and speak up. This is part of what being a proactive patient is all about. According to womenshealth.gov, endometriosis may affect more than 11% of American women between 15 and 44. It is especially common among women in their 30s and 40s. The exact cause of endometriosis is unknown. Risk factors for endometriosis include having a family history, menstrual periods that last more than seven days, having undergone abdominal surgery and more. One study found that exposure to environmental chemicals may also increase the risk of developing endometriosis. Environmental chemicals may be endocrine disruptors, meaning they disrupt our hormones. Endometriosis has been linked to having high levels of estrogen. “When endometriosis tissue grows outside of the uterus, it continues to respond to hormonal signals—specifically estrogen—from the ovaries telling it to grow. Estrogen is the hormone that causes your uterine lining to thicken each month,” according to one source. So one theory is that if you can control your estrogen levels, you can help prevent endometriosis. Exploring hormonal birth control options with your doctor (this option may not be right for everyone, and keep in mind that birth control can sometimes have side effects such as nutrient depletion). Exercising regularly. “Regular exercise and a lower amount of body fat help decrease the amount of estrogen circulating through the body,” reports womenshealth.gov. Limiting your alcohol intake. Alcohol raises estrogen levels. Limiting your caffeine intake. “Studies show that drinking more than one caffeinated drink a day, especially sodas and green tea, can raise estrogen levels,” according to womenshealth.gov. What if you already have endometriosis? Make sure you are getting your omega 3s. Omega-3 fats, found in foods like salmon, chia seeds, walnuts, flax seeds and avocado, have anti-inflammatory properties. Endometriosis may cause a lot of inflammation and swelling, so if you can eat foods to combat this inflammation it may help you better manage this disease. In addition to this, a high omega-3 fat intake has been associated with a reduced risk of endometriosis. Steer clear of trans fats. You probably already know that trans fats, which are found in many processed foods, are not good for cardiovascular health. These foods may cause inflammation and even increase the risk of developing endometriosis. Eat plenty of fruits and vegetables. 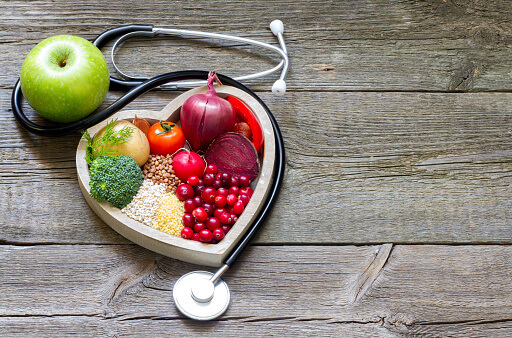 Nutrient-dense plant foods have antioxidants and help fight inflammation. These foods may even lower the risk of getting endometriosis. Their high fiber content may help reduce estrogen concentration in the body. Get your whole grains. Whole grains are also rich in fiber. Make sure you are getting enough magnesium. 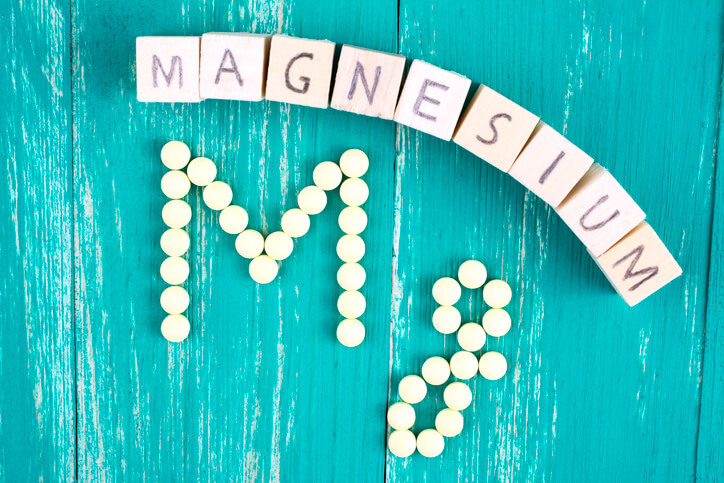 “Magnesium is a mineral needed by every organ in your body [including a woman’s uterus] to function properly,” says Sherry Ross, MD, an OB/GYN. “An important consideration for women is that magnesium is also believed to help alleviate the symptoms of PMS, making anything from cramps to anxiety more bearable. In part that is because magnesium can help keep bloat at bay.” So if you suffer from symptoms of endometriosis, magnesium may certainly help. 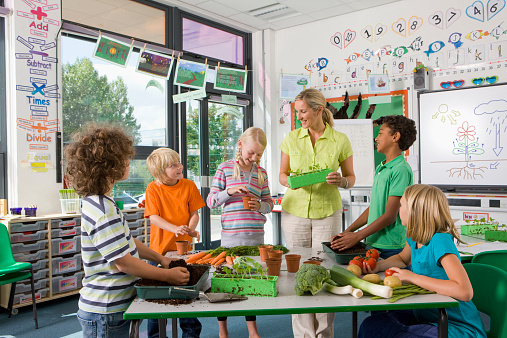 There are a variety of delicious and healthy foods that are rich in magnesium. Leafy green vegetables (like spinach), legumes, nuts, seeds and whole grains contain magnesium. Foods with fiber, like cherries, are also good sources of magnesium, and many cereals are fortified with this essential mineral. If you have difficulty eating magnesium rich foods, talk to your doctor about obtaining a high quality magnesium supplement. There is also some evidence that magnesium may be absorbed through the skin, so taking a bath with magnesium salts may improve your magnesium levels. Don’t forget calcium and vitamin D. “Some endometriosis medications work by lowering estrogen levels. If you are on an estrogen–lowering medication for more than 6 months, you may be at risk of developing osteoporosis (brittle bones),” according to one source. The mineral calcium and vitamin D help build and maintain strong, healthy bones. You can get calcium from salmon, turnip greens, kale, broccoli and more. You can increase your vitamin D levels by spending time in the sun, eating vitamin D-fortified foods and/or taking supplements. Be mindful of your iron levels. Women with endometriosis tend to have heavier, longer periods. As a result, they lose a lot of iron. For a list of iron rich foods, read here. And as mentioned, limit your caffeine and alcohol intake. Not only does alcohol raise estrogen levels, but it also depletes essential vitamins and minerals from the body. It is also important to get a comprehensive nutrient test so you can know where you stand nutritionally. Surgery to remove scar tissue and endometrial patches is a common treatment for women suffering from endometriosis. If you have endometriosis, discuss the possibility of this option with your doctor. And if you find out surgery is a good option for you, make sure you get plenty of vitamin C. This nutrient may help with wound healing and a quicker recovery post surgery. Finally, listen to your body, trust your instincts and speak up. Don’t ever worry about being labeled as a hypochondriac. It’s better to speak up and be wrong, than stay quiet and in pain.